When I was a teenager during the late 1970s and 1980s, there was a soap opera called The Young and the Restless. (Actually, it is still on.) That title implied how a lot of us felt—restless. We could not wait to get out of the house, see friends, go to the mall and shop, go to a party to socialize, talk to boys, and stay busy. We had arguments with friends and suffered broken hearts, but we brushed it off and got back out there. Sadly, this is not case for the current generation of teenagers. Researchers report that between 2012 to 2015, depressive symptoms in teenage boys increased by 21 percent. Even more shocking, depressive symptoms in teenage girls increased by 50 percent. There is certainly more stress for teens today than past generations. Should we blame all the processed foods we eat? Is it the environment? Changes in family dynamics? We know that teens from prior generations struggled with body image and the pressure to fit in, which can contribute to depression and mood changes. But why has depression skyrocketed? After studying numerous surveys and reports, researchers found one thing that stood out — the introduction of technology. The most notable form is smartphones. Most children born after 1995 do not know what it is like to not have the internet. 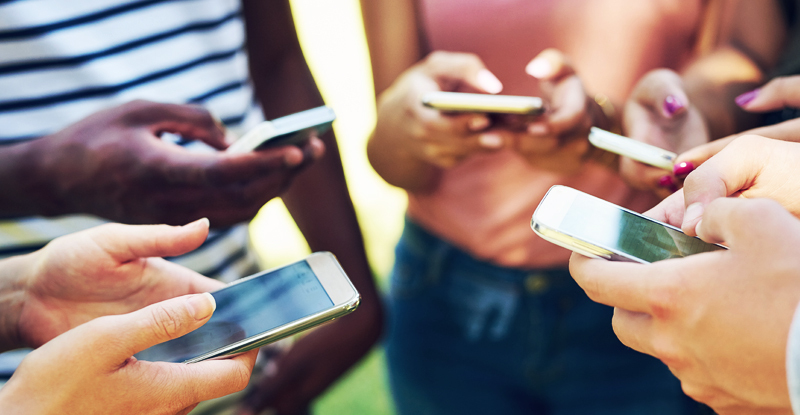 Between 1995 to 2015, depression in American teens significantly rose in tandem with the introduction of the smartphone. From 2011 to 2012, teen symptoms of depression and suicide rates increased significantly. By 2015, teens and young adults who owned a smartphone totaled 92 percent. Between 2000 to 2015, the number of teens who got together with their friends every day dropped more than 40 percent. Limit the time spent online. Remember teens need structure, and they often want it. Ask which apps your teen uses. All teens want autonomy, but if there is cause for concern, sit together with your teen and visit their social media sites and view online posts. Model appropriate online behavior. You have to walk the walk. Talk about potential social media harms like cyberbullying and fake friends. Teach teens how to protect their personal information. Get your teen involved in activities. Help them find something they love. Encourage social connection. Get your teen outside and actually talk to people. Help build coping skills and self-esteem. If depression goes beyond moodiness seek advice from your child’s doctor. 7 a.m. to 7 p.m. and Saturday from 8 a.m. to 3 p.m.
Jain, Renee. (2017, November 21). 10 reasons we worry about teens on social media (and some reasons we shouldn’t). Retrieved April 06, 2018, from https://blogs.psychcentral.com/stress-better/2017/10/10-reasons-we-worry-about-teens-on-social-media-and-some-reasons-we-shouldnt/. Smith, Aaron. (2017, January 12). Record shares of Americans now own smartphones, have home broadband. Retrieved April 5, 2018, from http://www.pewresearch.org/fact-tank/2017/01/12/evolution-of-technology/. Twenge, Jean M. (2017). IGen: Why today’s super-connected kids are growing up less rebellious, more tolerant, less happy—and completely unprepared for adulthood—and what this means for the rest of us. New York: Atria Books.